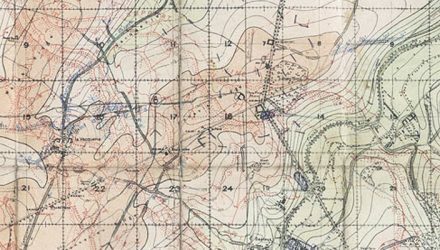 The 20th November 2017 marks a hundred years since the Battle of Cambrai. 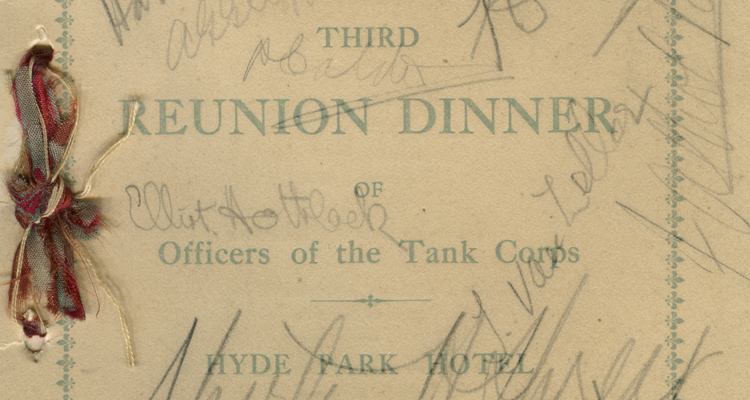 To commemorate the event, and to remember those who lost their lives, the Officers of the Tank Corps held a ‘Reunion Dinner’ from 1919 onwards. 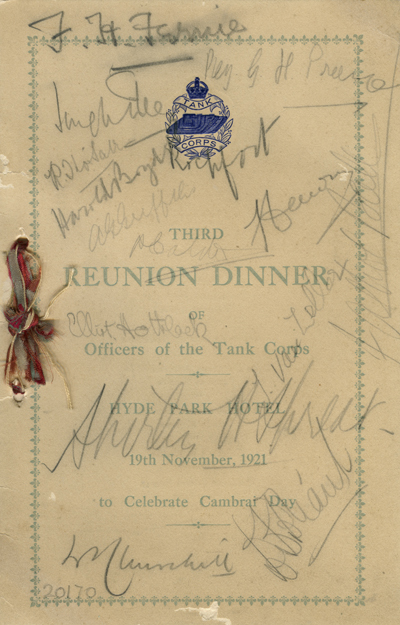 The Archive and Library is fortunate to have the menu card from the third Reunion Dinner held on the 19th November in 1921 at the Hyde Park Hotel. The card is especially noteworthy because of the signatures, in pencil, on the front. 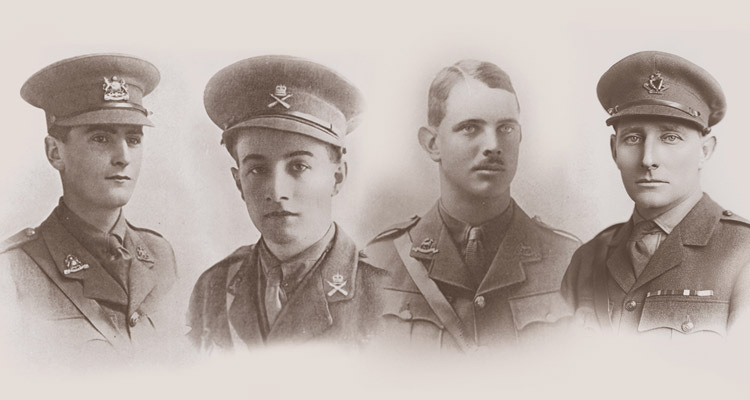 Of immediate interest is the signature of Winston Churchill, General Sir Hugh Elles (Later Lieutenant General, who commanded the Tank Corps at Cambrai) and Captain Elliot Hotblack (who is featured in the Museum’s Tank Men exhibition). 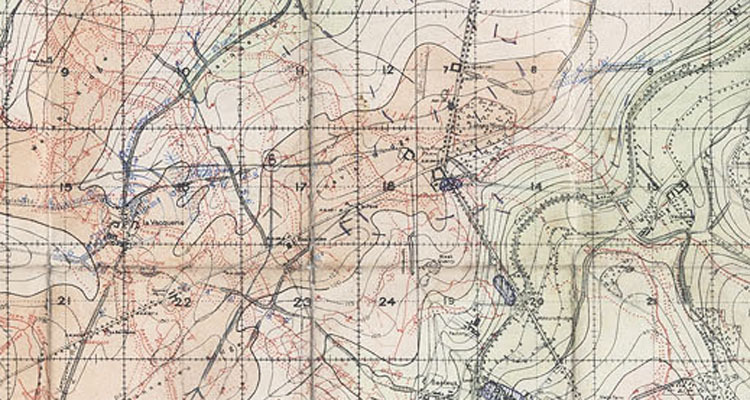 Other signatures featured are Major Griffiths (who was awarded an MC at Cambrai), Lieutenant Colonel Fernie, Lieutenant Van Zeller, ‘Athol Ball’, Captain Spreat, ‘Calder’, ‘Prance’ and Lieutenant Colonel Boyd-Rochfort. However, three remain unidentified. The menu, which is in French, is quite extraordinary and includes, among other rich delights, ‘Selle d’Agneau Armenonville Pommes Rosette’, ‘Faisan en cocotte Souvaroff Salade Mimosa’ and ‘Friandises’ which translates to Saddle of Lamb, Pheasant and Pastries. 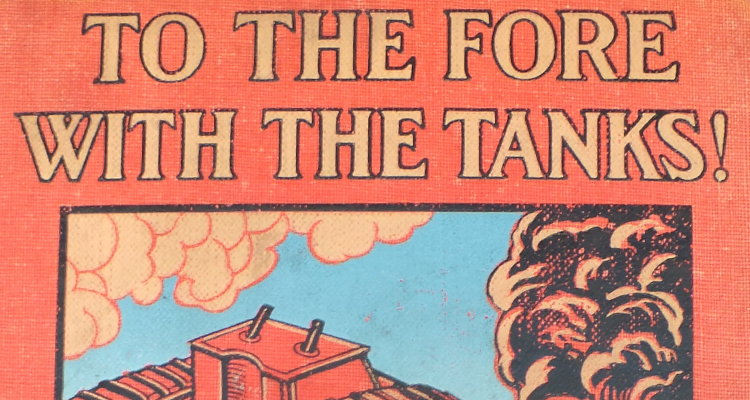 The Tank Corps Journal of January 1922 reported that Churchill’s speech at the Reunion Dinner was well-received and quoted Churchill as saying ‘…the future of the Tank Corps I do not know, but it has just a good chance as the Navy – we had better leave it at that’. 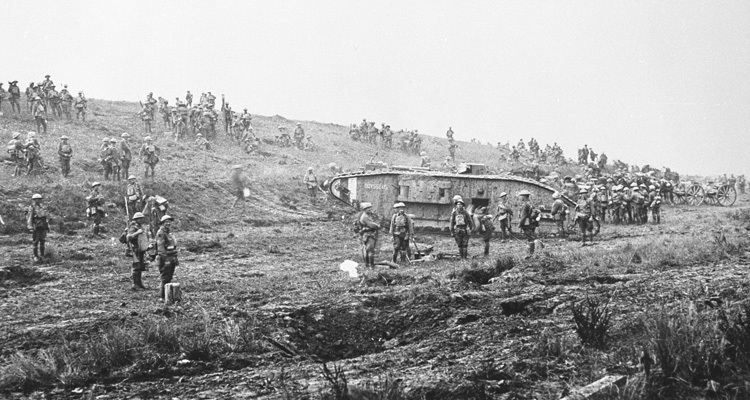 Read about other Cambrai commemorations throughout the last hundred years here.